Brandless is reinventing modern consumption by making better stuff at fairer prices available to everyone. Starting with our everyday essentials collection: better-for-you versions of the things you use all the time, from snacks to soap to spoons. All for an equal price of $3 —an amount that the company says reflects the elimination of a “brand tax,” or the costs associated with marketing, advertising, distribution, and brand cachet. Instead of a big logo emblazoned on a product, its actual attributes are listed on the package. Founded by Ido Leffler and Tina Sharkey, it launched in July 2017 with a selection of 115 items, many of them health and environmentally-conscious. Currently there are over 200 Brandless products on sale. The name of Brandless’ game is simplicity. There are only two real choices to make on their website: What do you want, and how much of it do you want? 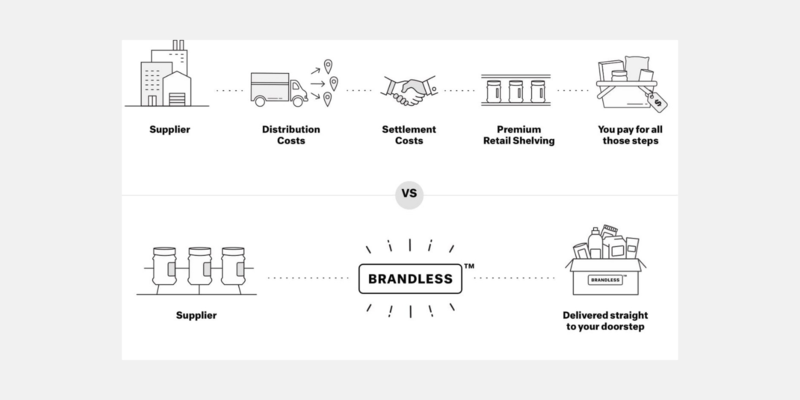 The whole concept of Brandless is to make consumer’s choices easier. There is only one version of each product. This simplicity is also reflected in their online store. Its clean and uniform design topped with a quick and trasparent checkout contribute to a great User Experience. 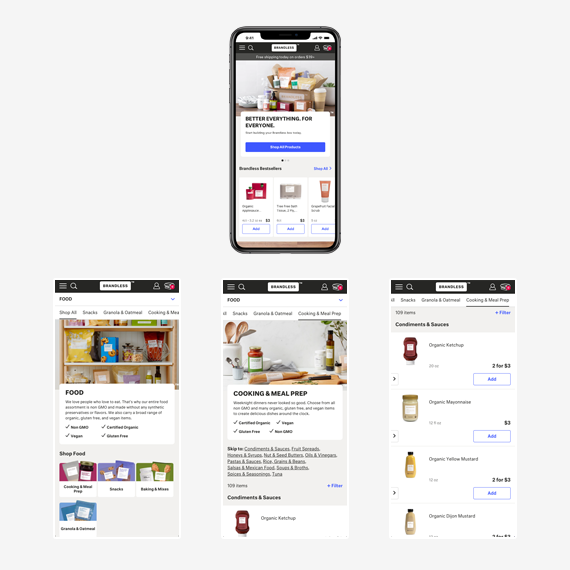 The engineering team at Brandless uses React, Redux, Rails and TypeScript to deliver a modern, fast, and maintainable shopping platform to customers. To create an online store that sells consumables direct to consumers, with all the quality you expect from top brands, but without the overhead those brands create. The tech stack was pretty typical for today’s mobile-first web applications — React on top of Ruby on Rails — but creating a completely custom store on top of the preferred product management system was one of the more interesting challenges. The up-front pain paid off down the road, and Brandless features unique product bundling and the B.More membership program. Brandless launched with appropriate fanfare, including reporting by Tech Crunch and the Today Show. The first weeks after launch saw products sell out quickly and heavy site traffic — but the platform’s performance didn’t waver. Since then, Brandless has sustained rapid growth and financial success. 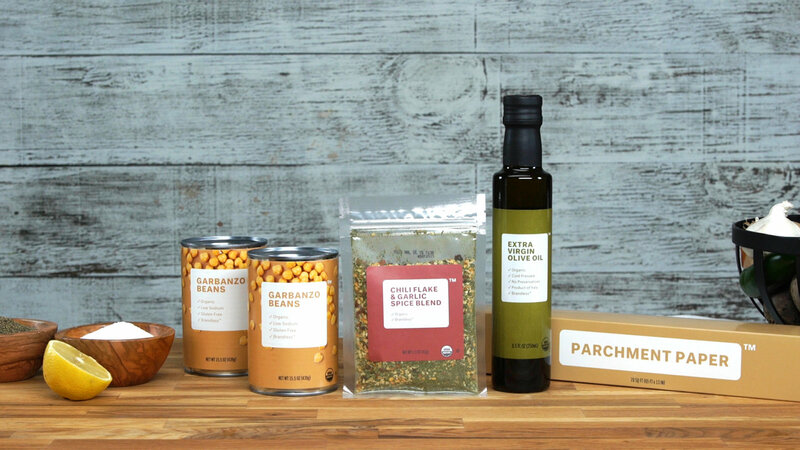 Brandless uses Spree to make the customers’ shopping experience unforgettable. The website’s clean design matches the “brand’s” minimalist attitude. The whole point is to make our everyday life easier, with fewer choices to make and things to worry about. Brandless online store does this job flawlessly.